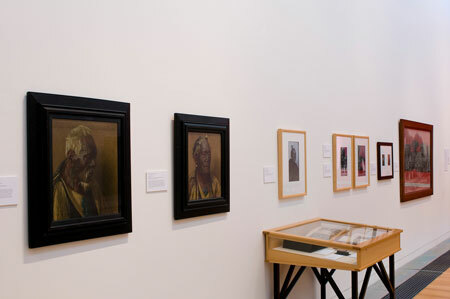 The distinctive tradition of Maori portraiture that flourished at the turn of the twentieth century was the focus of Te Mata: The Ethnological Portrait. Curator Roger Blackley, Senior Lecturer in Art History at Victoria University of Wellington, brought together paintings, photographs and sculptures which combined an ambition to describe an ideal ethnic type with the realities of individual depiction. 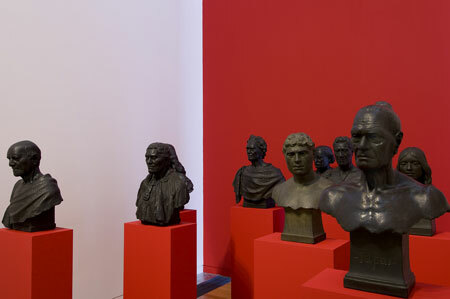 At the heart of the show was a remarkable series of eight portrait busts by sculptor Nelson Illingworth commissioned in 1908 by the Dominion Museum, Wellington. 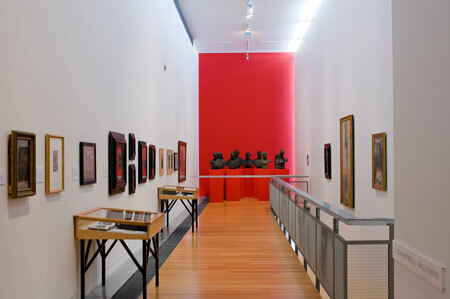 Never cast in bronze as originally intended, the fragile plaster objects miraculously survive in the collections of the Museum of New Zealand Te Papa Tongarewa, and were exhibited together for the first time, displayed alongside paintings by Charles Goldie and others. Blackley argued that Illingworth’s idealised busts do not only serve the purposes proposed by the museum to define Maori as an ethnic category because they can also be thought about from the perspective of their subjects. “For example, the venerable Patara Te Tuhi, a visitor to museums and stately homes in England, and the subject of many portraits, had a very clear idea of the European portrait tradition”. 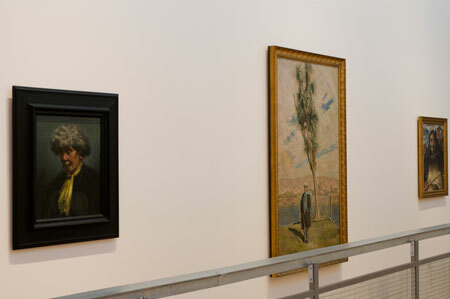 Click here to view the public programme events associated with this exhibition. A substantial book was produced in conjunction with this exhibition. Published by the Adam Art Gallery and Victoria University Press, it includes an exhibition essay by curator Roger Blackley. Design by Alice Baxter. Available for purchase here.